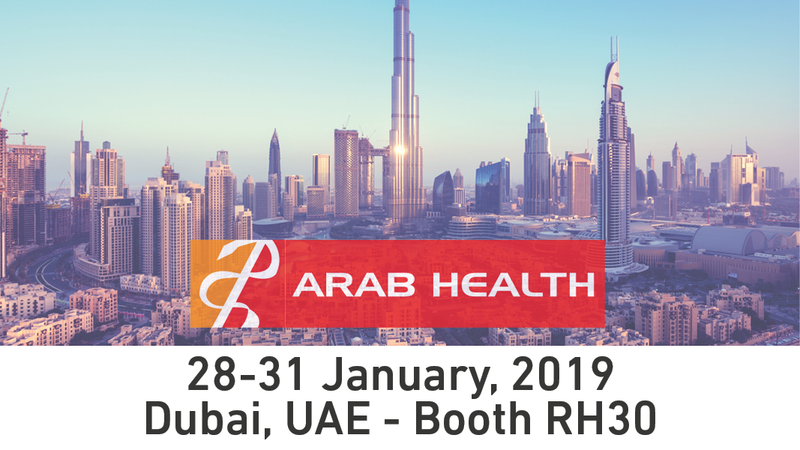 Comecer will be exhibiting at Arab Health 2019 (booth no. RH30) taking place at the Dubai International Convention & Exhibition Centre on January 28-31th. Our stand is part of the Italian Pavilion. Stop and chat with our team: you will discover that we don’t just supply equipment, we also have the experts that assist our customers with a complete service for the creation and customization of a Nuclear Medicine Department or a Hospital Pharmacy. Our experience has led us to understand that standard products can only be the starting point to giving you the best possible solution. Only you can tell us the particular technical challenges you are facing. Radiopharma technology? Pharma production? Compounding Pharmacy? If you are attending, make a note in your diary to stop at booth no. RH30 where you will find our specialist team. We are world leaders in protection technologies for nuclear medicine and pharmaceutical isolation technology. Stop and chat with Antonio Caserta and Matteo Galassi for Radiopharma technology and they will tell you about our complete service for the creation and customization of a Nuclear Medicine department. Our Area Sales Manager Mirko Tassinari will be there to answer your questions about upgrading your Pharma production plant, and Giacomo Nicolini can help you if you are interested in Compounding Pharmacy. Why not make your visit easier? Fix a meeting with us! Arab Health is always a busy event, so we suggest you fix an appointment with our experts so we can dedicate special time to you.